Moving to Washington DC - Compare Movers & Save up to 70% ! Intlmovers is one of the quickest and easiest ways to request quotes from up to six international moving companies at once. If you are moving to or from Washington DC, moving companies that are specialists in international moves are available to help provide you with pricing and information. Submitting your request will only take you couple of moments. International moving companies will contact you directly with their offers for your Washington DC move so there is no chasing around. As Intlmovers can help you compare a multiple quotes in a single request, it can save you a lot of time. You don’t have to worry about chasing around. You know that the international moving companies will receive your move request immediately. Compare a number of quotes quickly and easily without obligation, so you can choose the right company to help you with your move to or from Washington DC. Preparing for an international move involves a bit of organization. You can let logistical specialists help you with your international moving needs, because they are experts in knowing what needs to be done and the best way to do it. 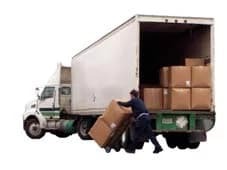 They will ensure that your move is managed professionally, and that best practices are used to avoid delays with the moving of your valuable goods to or from your Washington DC address. If you are planning on moving internationally to the USA, you need to ensure that you have the correct paperwork for your arrival. The USA has a Visa Waiver Program in which 36 countries participate. Passport holders from Australia, New Zealand, Singapore and many European countries are able to visit the USA for a maximum of 90 days without the need of a visa. Canadian and Mexican passport holders have other applicable rules, depending on their reason for travel to the USA. As with any type of international travel, always check with your local embassy or authorities to confirm the exact requirements for your personal situation. As the nation’s capital, Washington DC has a high level of federal government employees. Additionally, for proximity to the federal government, many companies have headquarters located close by, and there is a large number of law firms and professional associations in the area. Other major areas of employment in and around the Washington DC area include unions, non-profit organizations and service related industries. With so many local buildings of interest, including the White House, Capitol Building and other famous monuments, tourism is a huge industry for Washington DC. Many businesses are build around and thrive on the local tourism industry. In comparison to the rest of the USA, Washington’s overall cost of living is quite high. In fact is it estimated at around 80% above the national average. Approximately 31% of the available rental properties in the Washington DC area are apartments. Rental prices start at around $600, and escalate accordingly depending on the size and level of luxury that they offer. The average price for a one bedroom apartment is estimated at around $1100. Surrounding cities and suburbs offer an extended range of housing options, with a varying range of prices to suit other budgets. The Cascade mountains in Washington divide the city climatically as well as geographically. Western Washington experiences a relatively mild climate, and receives a high amount of rain. Eastern Washington has a much more continental climate with hot summers, cold winters and sparse rainfall. Washington is located in the humid sub tropical zone, with summer weather averaging a 66% humidity rate with temperatures of around 79°F (26°C). Winters average 38°F (4°C) with an average snowfall of around 37cm. The moving companies on Intlmovers are professionals, who often offer specialization in specific services or fields. You do not have to worry about your property being mishandled because they will transport it reliably and responsibly, so that your belongings arrive in unscathed and ready for you to start your new life in Washington DC.